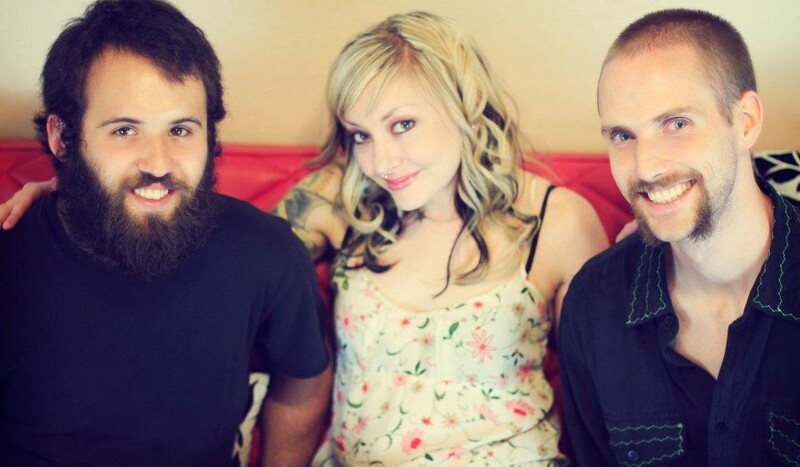 “After fronting the locally-renowned Ghost Buffalo for six years (with ex-husband and former Planes Mistaken for Stars guitarist, Matt Bellinger) Litton parted ways with Ghost Buffalo and Bellinger, and channeled her seemingly endless energies into Lil Thunder, an outfit not unlike her previous band. While enjoying playing with Lil Thunder, there was a softer, ultimately darker sound that Litton was after. You know that somber, dark feeling that Nirvana’s Unplugged in New York gave off? Remember how that cello really created an ambiance that slowed everything down and mellowed you out? I’ve spent many years searching for something that could resemble that mood and feeling, and PrettyMouth’s latest album, “Satan in Clothes”, has captured that vibe better than anything else I’ve heard to date. Now, that’s not to say they were intentionally trying to do that, and I’m also not saying that their music sounds in any way like Nirvana. No, what I’m saying is that PrettyMouth’s music is hauntingly beautiful, just the way Unplugged in New York is. Marie Litton has a wonderfully crisp voice that will immediately capture your attention. The sweetness and gentleness of her voice contrasts vibrantly with the spooky music PrettyMouth creates. As I listened to PrettyMouth I found myself very often comparing their music to that of Dark Dark Dark. While the songs themselves don’t necessarily sound the same, both Dark Dark Dark and PrettyMouth have a similar sad or sorrowful vibe to their music. Additionally, PrettyMouth does an excellent job of setting the mood as soon as the first song starts playing, aided tremendously by the skillful use of the cello. Even more pleasing to the ears, each song on PrettyMouth’s album seamlessly transitions from one to the next. It’s as if the album was actually made up of one giant song that they then decided to split into eighths. The lyrics for PrettyMouth’s songs are impeccable, and clearly show Marie’s writing ability to be better than the competition. I rank her towards the top of my list of songwriters along with Nona Marie Invie, Charlotte Eriksson, and Eliza Wren. Are you surprised my list of top songwriters are all women? You shouldn’t. It’s more than obvious that women are far superior when it comes to songwriting and lyrics. Marie Litton only solidifies my claim. My favorite songs on “Satan in Clothes” were Blood Don’t Die, Morning Terrors, and Sinisterly. I found them to be an elegant mix of haunting vocals and lyrics mixed with superb musical melody, harmony and raw emotion. I couldn’t help but feel every bit of emotion from Marie as she allowed me to listen to her inner-most thoughts. What are your favorite songs by PrettyMout? Let me know in the comments below. And as always, enjoy!